Hi everyone and happy Thursday, happy 22nd of December and happy Blogmas! 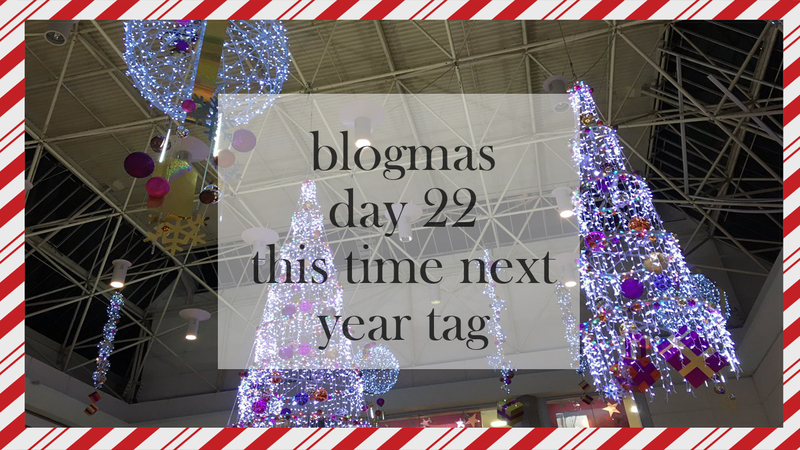 As it's the 22nd of December, Blogmas is on it's way to a close and it's the time of year for reflection and progression. I was tagged by the lovely Alice (from Beauty With Alice) to do this tag, and I thought it would be a nice way for myself to set some goals for 2017 and hopefully I'd of achieved them - so thanks for the tag, sweetie! This year has been like an extreme roller coaster for me in terms of my mental health, and for this time next year, I'd like to have it more under control by being able to push the negative feelings away and embrace the positives. This year I've conquered my severe anxiety to the point where it only hits me rarely, rather than it happening more than once a day for a long period of time. As for my depression, I'd like to get that under control because in my opinion, it embarrasses me and I really hate feeling under the weather and depressed. Currently, I'm a second year university student and for this time next year, I'd like to have passed and go into third year. For me, going to university wasn't really what I expected since my anxiety ruined the lead up for me quite a bit and was the reason I almost withdrew my application. I've honestly surprised myself with being there, in terms of staying in university and not leaving. I really want to graduate and get a job, so hopefully I get my degree in the end! I want to grow the audience on my blog. For that, I'm going to write more content which varies a little bit even though the main focus of my blog will be on mental health. I want to grow my audience so I can make new blogger friends, experience new opportunities, do more guest posts and so much more. Hopefully 2017 will be the year all this happens! I do this so much and I really need to stop. I overthink so much and think of the future (as in future days, weeks, months) and it's not good for me. To basically stop myself from doing this, I'm going to focus more on the now and not on the future. I'm going to keep my mind in the present and not the future or the past because I know it will make me feel more optimistic with things and less depressed/anxious. 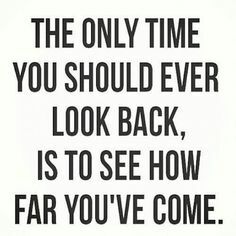 As well as this, I know it will help me feel more myself and less of "the entire world is on my back". What are your goals for the next year? Are you going to set any? Let me know!